Hi there! 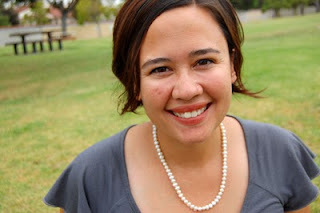 I’m Marigold from a little blog on the other side of the Internet called Hideous! Dreadful! Stinky! where I share practical crafts and DIYs for the domestic lifestyle that always carry a fun twist. 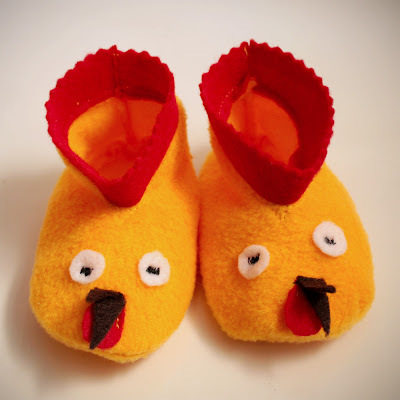 I’m so happy to be a part of Baby Week, and today I would like to share with you how I made these fun chicken booties, which are a variation of Heather Bailey’s free and easy Bitty Booties pattern. 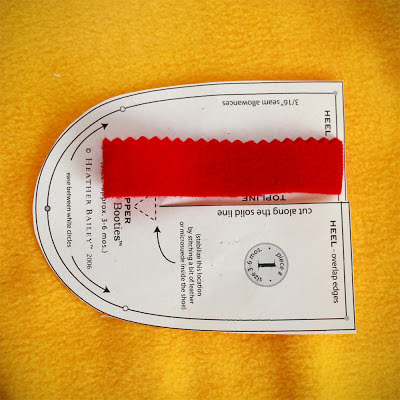 Follow steps 1 and 2 of the Bitty Booties pattern, using yellow fleece. You should have two UPPER pieces that are re-enforced, and two SOLE pieces. This tutorial picks up at Step 3: Decorate. Fold a piece of red felt and cut it to be just a bit longer than the TOPLINE of the UPPER bootie piece. It should be about 1/2″ tall. Pink along the top edge. This will be your chicken’s crown. 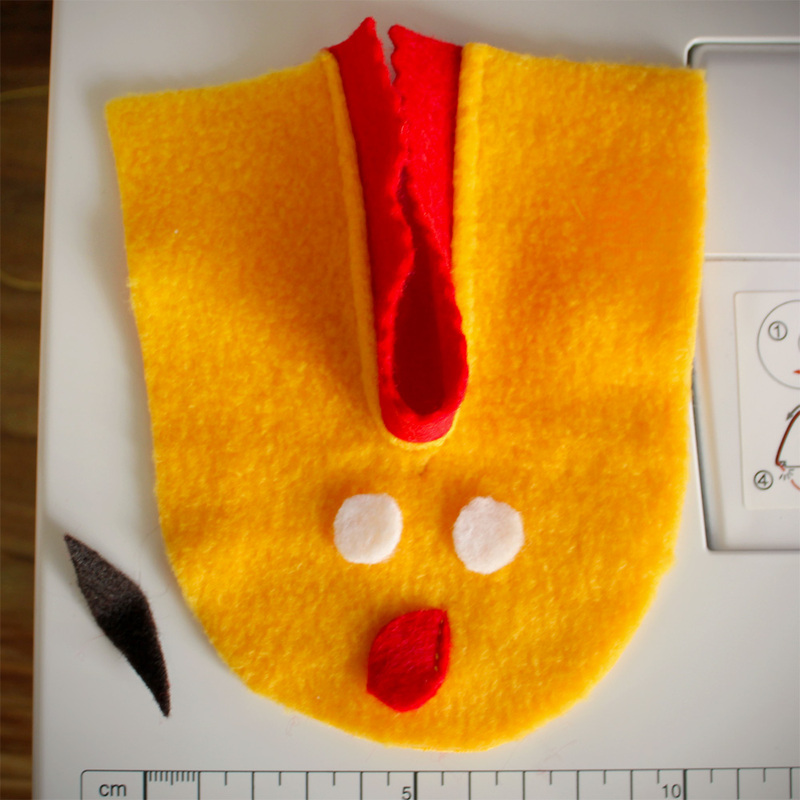 Open the red crown and the UPPER, and pin the straight edges, right sides together. Load your sewing machine with yellow thread. 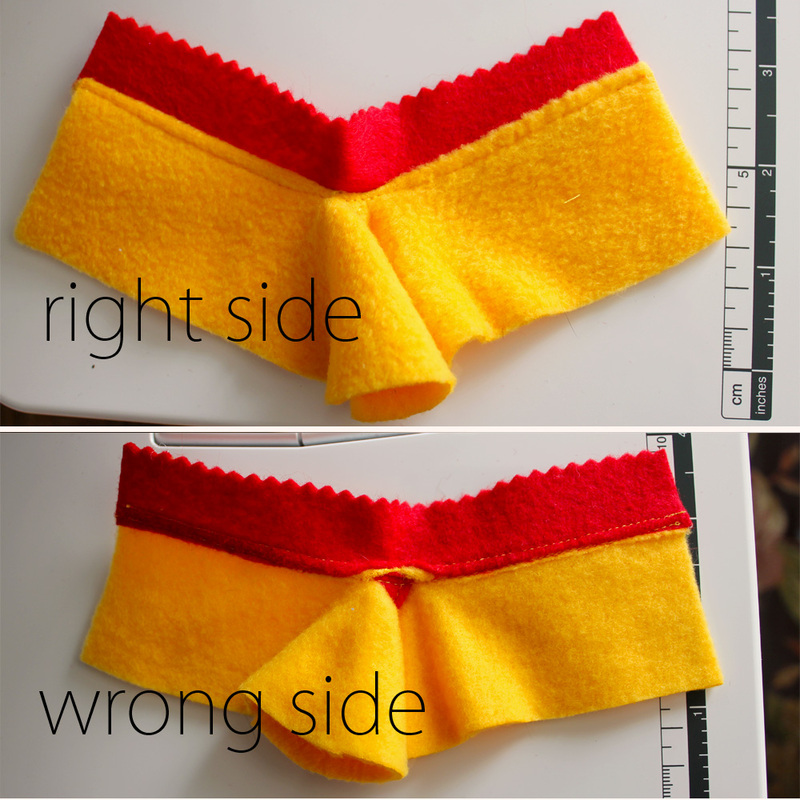 Sew along the edge with about a 3/16″ seam allowance. Ease stitch at the center, try to avoid catching any folds in your stitching. 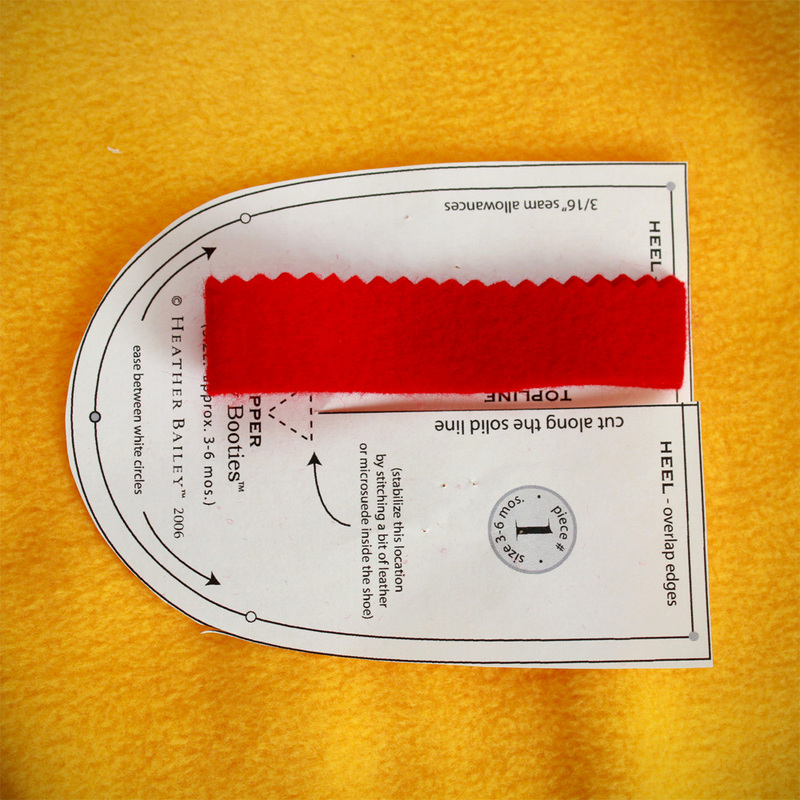 Trim off the extra red felt so that it lines up flush with the edges of the UPPER. 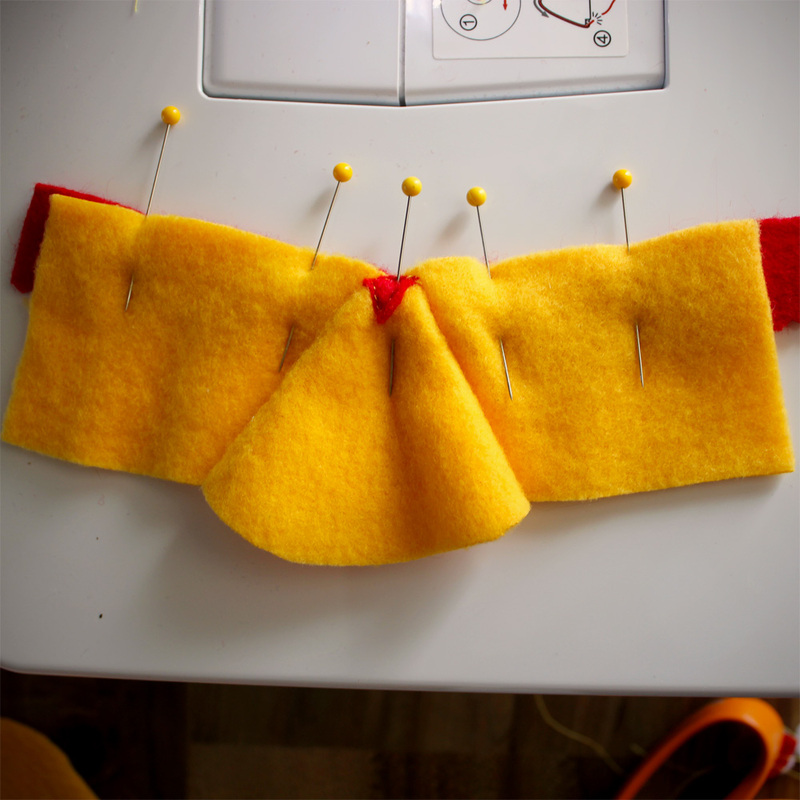 On the right side, with the seam folded down toward the UPPER piece, topstitch along the yellow UPPER. 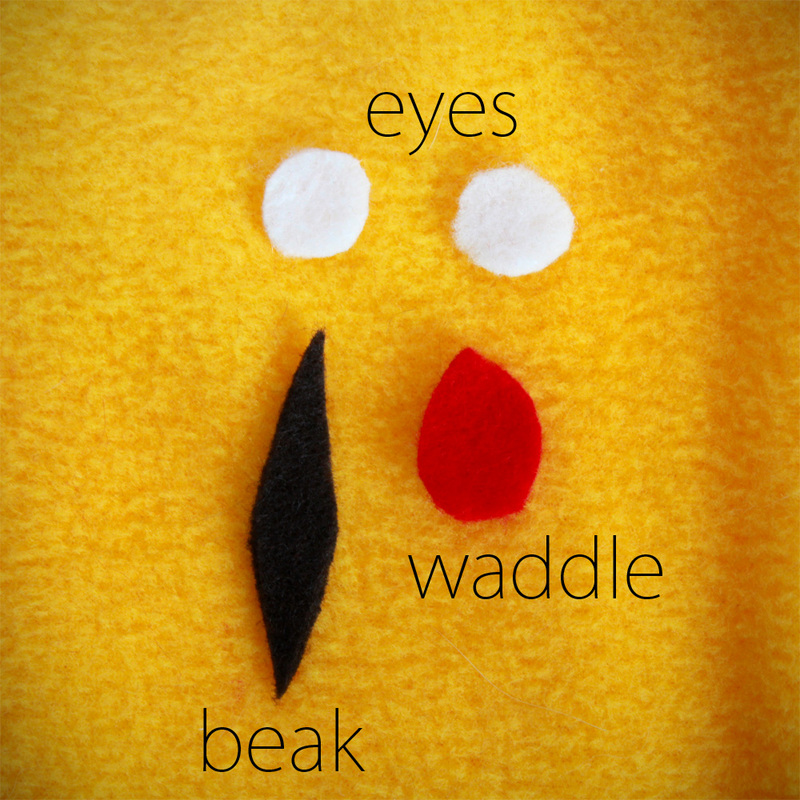 Cut out felt eyes, a waddle, and a long, skinny diamond shape for a beak. Close up the UPPER and place the face pieces. Attach the waddle, sewing along one side. 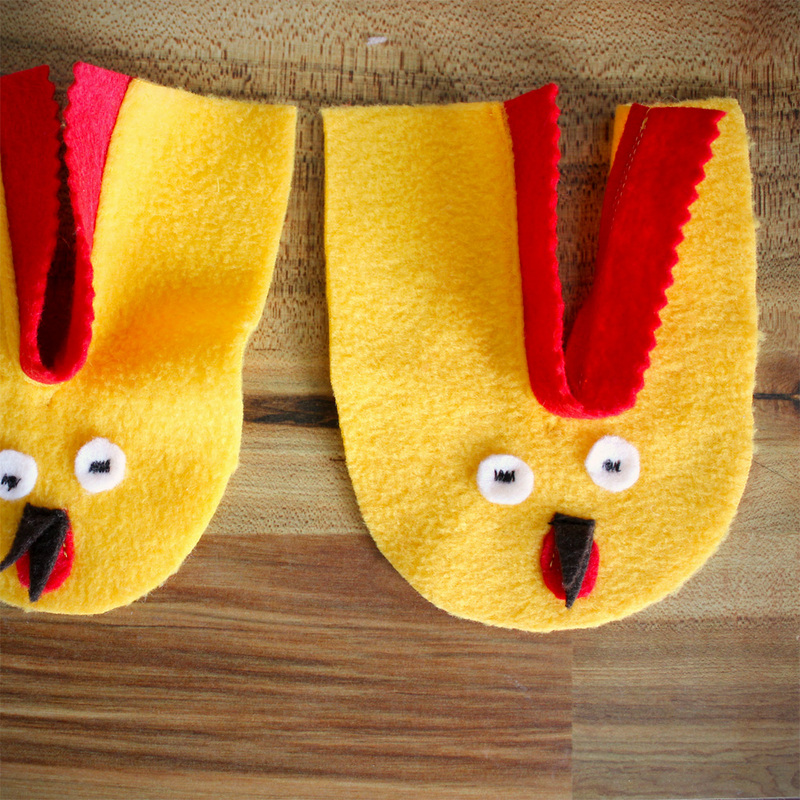 Using black thread, fold the diamond shaped beak in half and stitch along the top. 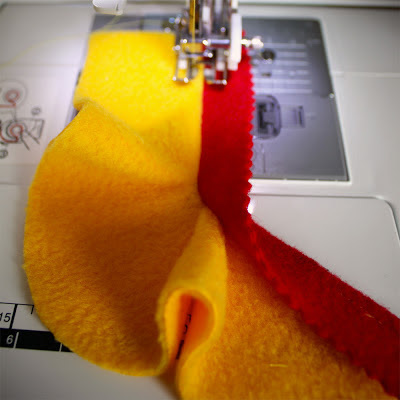 Attach the eyes by using a zig-zag stitch with a short stitch length. You could also hand-embroider a french knot, if you’re feeling fancy. Do the same to thing second bootie. Once the faces are in place, you can proceed with the rest of the pattern. You won’t need to do Step 4: Stabilize, since you’ve already added the red crown piece. Follow the remainder of the instructions until your booties are complete! Note that for Steps 8 and 9, you need to make sure that the waddle and beak are pushed up and out of the way of your stitching as you sew around the toes so that you don’t sew through them. That’s it! I hope you’ll come visit me over at Hideous! Dreadful! Stinky! and check out some of my other crafts and tutorials for babies. I have lots of booties over there, like these, and these. If you’re a Twilight fan, you might like my Edward Cullen chewy toy. And for slightly older kids, I have a tutorial on how to make a boy’s tie from a man’s tie. I love to make pretty things, silly things, goofy things and cutesy things. For a long time, I tried to be an artist, but I lacked the necessary Angst, and finally accepted myself as a crafter. How about “Indie Crafter.” Yes, that makes me sound a bit more cutting edge. Hideous! Dreadful! Stinky!